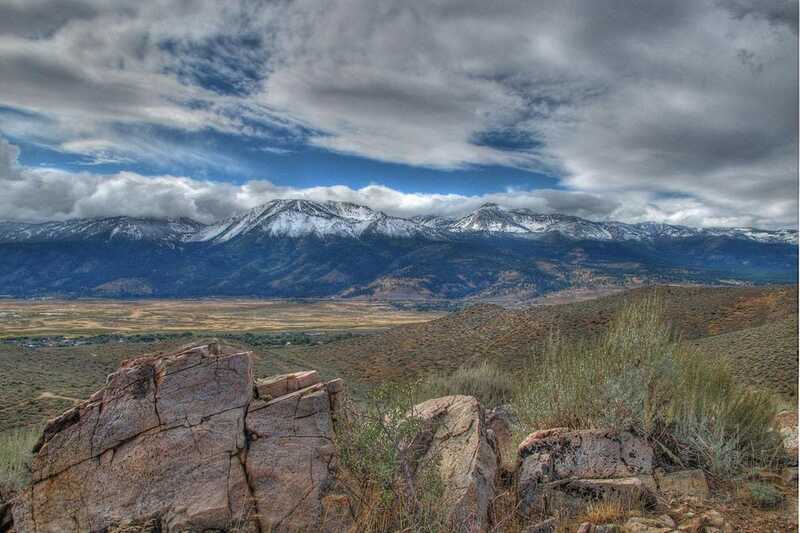 Washoe Valley is located in between Reno and Carson City and is nestled in the foothills just below Lake Tahoe. The valley is divided in half by Highway 395 and by two lakes: Big Washoe and Little Washoe. Big Washoe has become a haven for wind surfing and kite boarding and Little Washoe is wonderful for kayaking and wildlife. The West side of Washoe Valley is home to large ranches, Davis Creek State Park, Bowers Mansion State Park and Thunder Canyon golf course. The East side of the lake has a small community, great hiking trails and a few small stores including a deli and the very popular Postal Cafe which serves locally raised and harvesting meats, eggs and vegetables in their dishes. The East side also has a state park with a boat launch, camping and picnic areas. Washoe Valley is home to several state parks including the Washoe Lake State Park where there is a boat ramp, a campground, several beaches and dunes, public and reserved picnic areas and horse trails. On the West side of the lake is Davis Creek which also has a campground, a small pond and picnic areas and Bowers Mansion which used to be a silver baron's home in the late 1800s. The mansion is now a museum and the park also contains a seasonal pool, a playground and picnic area, tons of grass and trees and walking trails. The East side of Washoe Valley has several places to eat: a few bars and a deli. However, the Postal Cafe has been attracting visitors from all over the area for its cozy atmosphere, hearty breakfasts and lunches and its seasonal farm-to-table dinners. They have a nice outdoor deck where you can enjoy a view of the Tahoe range and Washoe Lake. There is not too much nightlife in Washoe Valley, but on the East Side are several bars that serve decent food like burgers, fries and tacos and various beers on tap. One of these bars is the Sand & Sage and the other is the Washoe Bar which is popular with local and out-of-town bikers. Another place to hang out at night is at the Thunder Canyon Country Club restaurant on the West side of the lake. The only places to stay in Washoe Valley are the campgrounds and a small bed and breakfast.There are some great spots at the Washoe Lake State Park and at Davis Creek on the West side of the lake. The Washoe Lake State Park campground has showers, bathrooms and several dozen RV and tent sites. The Davis Creek campground has forested sites, bathrooms and showers and access to a fishing pond and several hiking trails. The Deer Run Ranch Bed & Breakfast is run by a local couple and they offer two beautifully decorated rooms where you can enjoy home cooking a view of the mountains. Washoe Valley is not known for its shopping, but it does have some small local feed stores and a deli where you can pick up wine and locally made items. The Postal Cafe also sells paintings, drawings and photography from local artists. If you are looking for something unique to the area, visit the Deer Run Ranch where the owner of this charming B&B is a long-time sculpture and sells her handcrafted items out of her studio.